Serena Williams has a tough draw as she tries to equal Margaret Court's record of 24 Grand Slam singles titles. Both of the other women's favorites in the U.S. Open, Simona Halep and Sloane Stephens, are in Williams' half of the draw. The women's and men's singles draw ceremony was held today in Manhattan. The tournament is scheduled for Monday through Sept. 9 in Flushing Meadows. Williams, a 36-year-old San Francisco resident, has won the U.S. Open six times. She missed last year's tournament while giving birth to her first child. 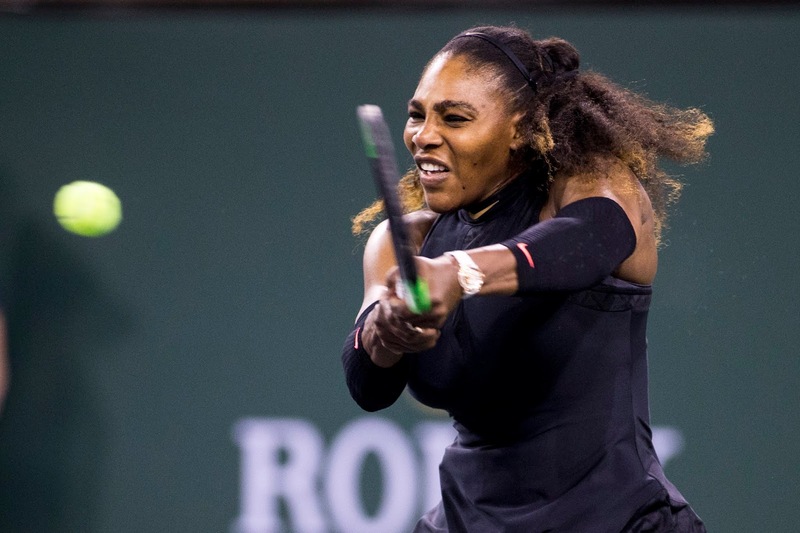 The 17th-seeded Williams could face her 16th-seeded sister Venus or wild card Svetlana Kuznetsova, both former U.S. Open champions, in the third round, the top-ranked Halep in the fourth round and third seed and defending champion Sloane Stephens in the semifinals. Stephens, a 25-year-old Fresno product, could play 25th-seeded Daria Gavrilova of Australia or wild card Victoria Azarenka in the third round. --Sam Querrey, a 30-year-old San Francisco native, will meet Andreas Seppi, a 34-year-old Italian, in a clash of former top-20 players. The winner likely will play 28th-seeded Denis Shapovalov, a 19-year-old Canadian, in the second round. Fifth-seeded Kevin Anderson, last year's U.S. Open runner-up, looms in the third round. --Mackenzie McDonald, a 23-year-old product of Piedmont in the San Francisco Bay Area, will play Robin Haase, 31, of the Netherlands. The survivor probably will meet 10th-seeded David Goffin of Belgium. The 5-foot-10 (1.78-meter) McDonald won his first Challenger title last October in Fairfield, 40 miles (64 kilometers) northeast of Piedmont, and reached the fourth round at Wimbledon last month. --Bradley Klahn, a 28-year-old wild card and Stanford graduate, will take on 6-foot-10 (2.08-meter) John Isner, seeded 11th. Klahn, who underwent his second back operation in 2015, will appear in the main draw of the U.S. Open for the first time in four years. Isner, 33, advanced to his first Grand Slam semifinal last month at Wimbledon, losing to Anderson 26-24 in the fifth set in the fourth-longest match in tennis history at six hours, 36 minutes. --Jenson Brooksby, a 17-year-old wild card from Carmichael in the Sacramento area, will face 54th-ranked John Millman of Australia. Brooksby earned his wild card by winning the USTA Boys 18 National Championships this month in Kalamazoo, Mich. Millman has won two Northern California Challengers (Sacramento in 2010 and Aptos in 2015) and reached the final of another (Tiburon in 2014).